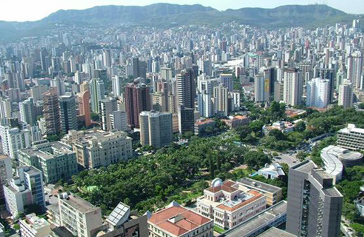 This city was considered to be the city with the best quality of life in Latin America by the Population Crisis Committee of the United Nations and the 45th among the 100 best in the world. Elected to be the new capital of Minas Gerais, taking over for Ouro Preto, it was a planned city and today attracts much investment. Recognized as a centre of medical, biotechnological and information excellence, Belo Horizonte host important national and international events. Everyone who visits the city shouldn’t miss the Pampulha centre, the Belo Horizonte museum of Art, the Yacht Club, the Dancing Academy, the House of Juscelino Kubitschek, the Headquarters of the Zoo-Botanical Foundation, the monument to Iemanjá and the Mineirão and Mineirinho soccer stadiums, registered as historic heritage. Belo Horizonte is also the start point to the Gold Circuit: Ouro Preto,Congonhas do Campo, Sao Joao del Rei , Tiradentes and Diamantina historical cities.